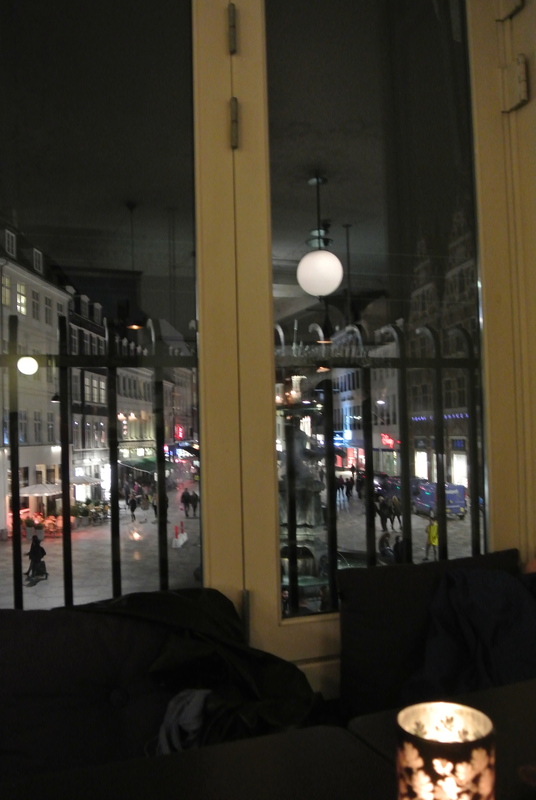 My final four nights in Denmark were spent in Copenhagen. Other than dinner at the famous Geranium (to be posted later this week), we didn’t book any other meals and on our second night we ended up here at Cafe Norden. 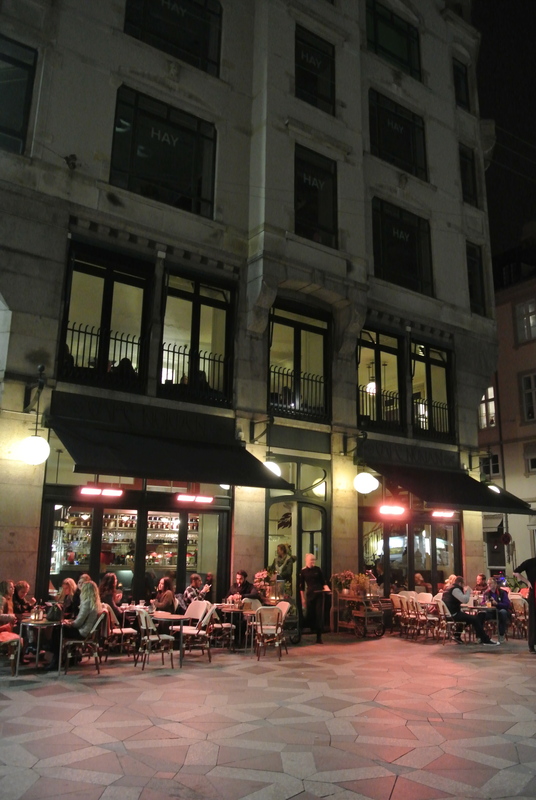 Perfectly located on the major shopping strip (Ostergade) in the main square with two floors, we sat on the second floor at a window banquette with a great view down Ostergade street. This was a great casual cafe, lively with many local patrons and unexpectedly good food. 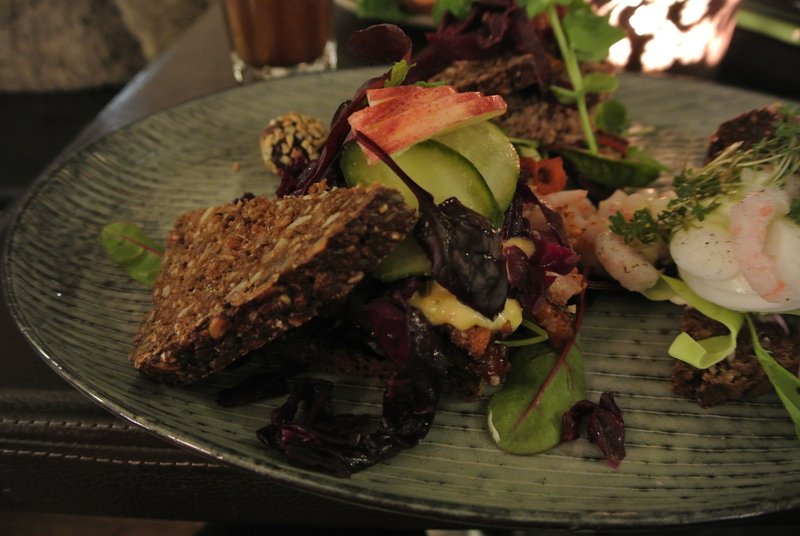 I ordered the Smorrebrod which is a traditional Danish open face sandwich. 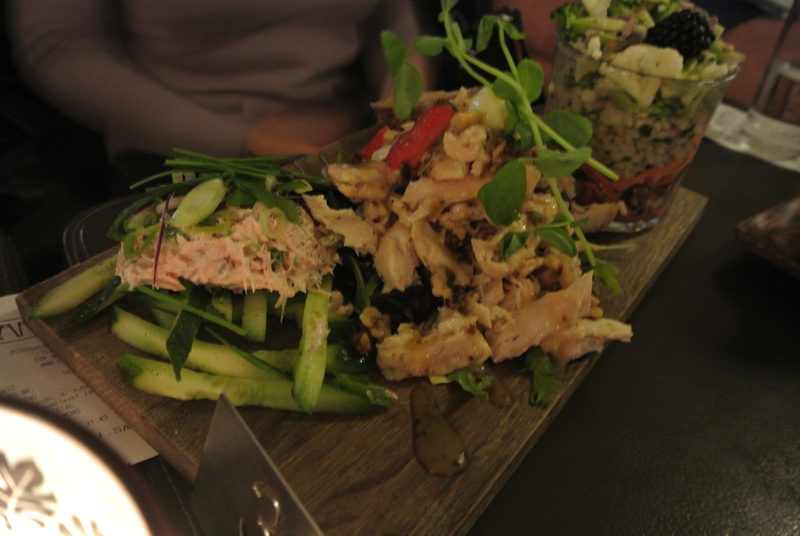 What was great with this was it came with three different kinds: eggs & prawn, liver pate and pork loin. They were all fresh and delicious but my favourite has to be the roasted pork loin with pickled red cabbage (almost sauerkraut like), cucumber and roulade (mayo). 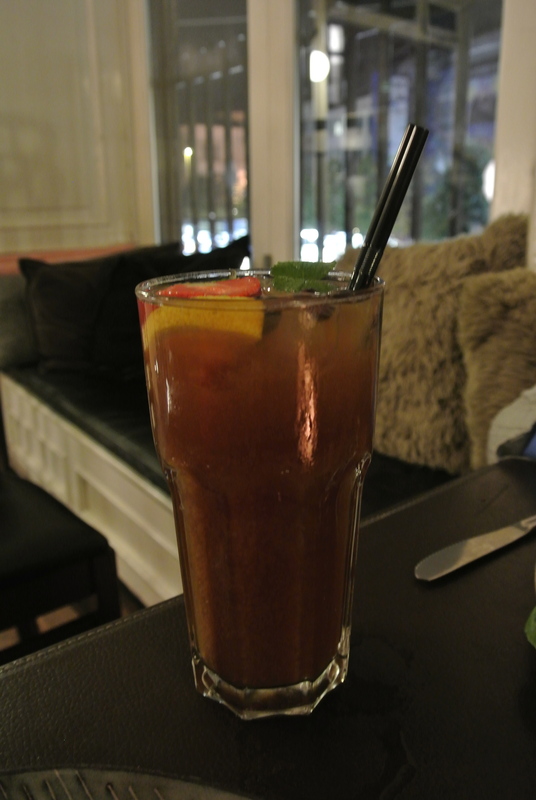 Not only was the food dynamite but so was my iced tea, almost like a virgin sangria, it was made with quince tea, lemon, elderflower and a splash of orange juice – I couldn’t get enough of it! The beautiful view from our table at Cafe Norden. 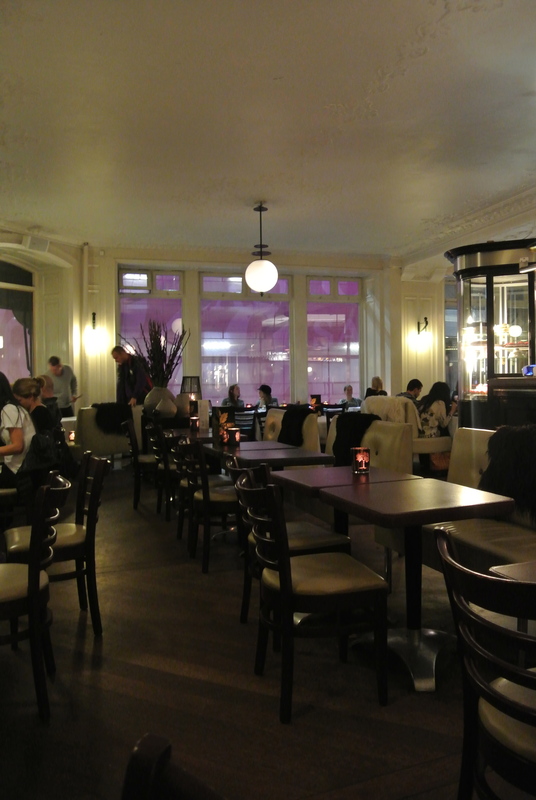 Inside the upper floor of Cafe Norden. 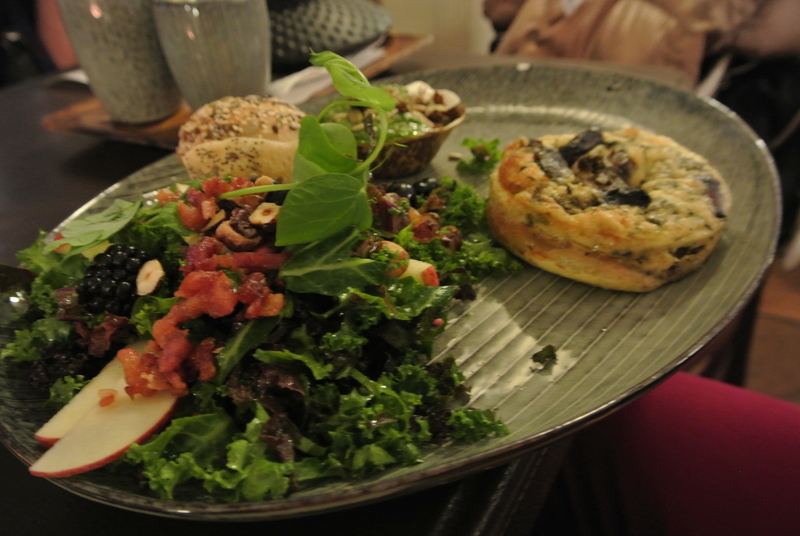 Special of the month – Mushroom Pie and a side salad. 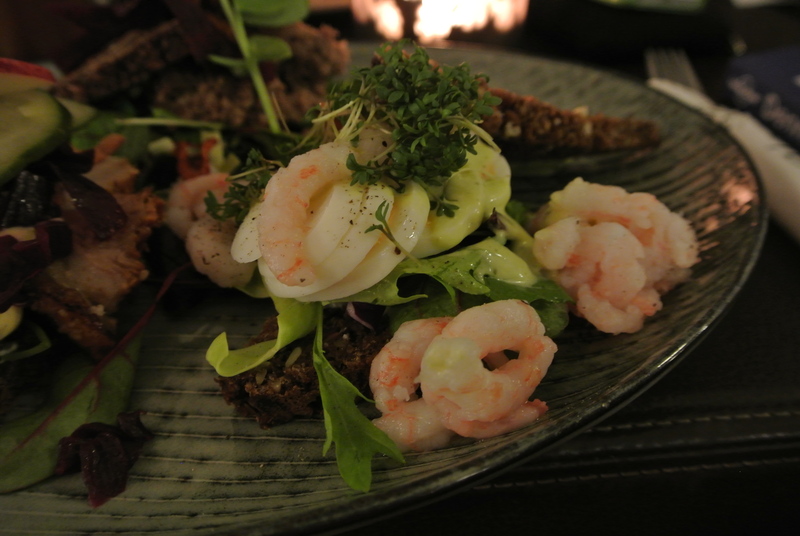 Norden’s Triple Salad – with honey mustard chicken, salmon and vegetables. 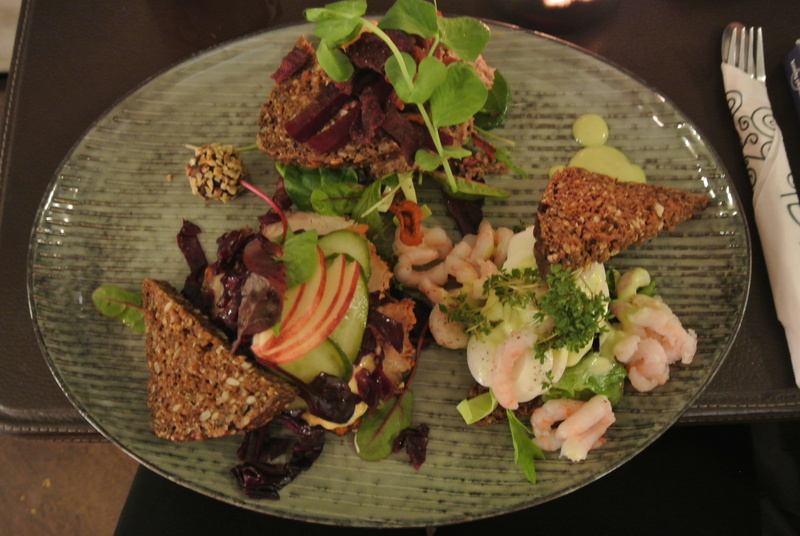 The Smorrebrod plate – three different open face sandwiches. Pork loin smorrebrod with red cabbage and cucumber. 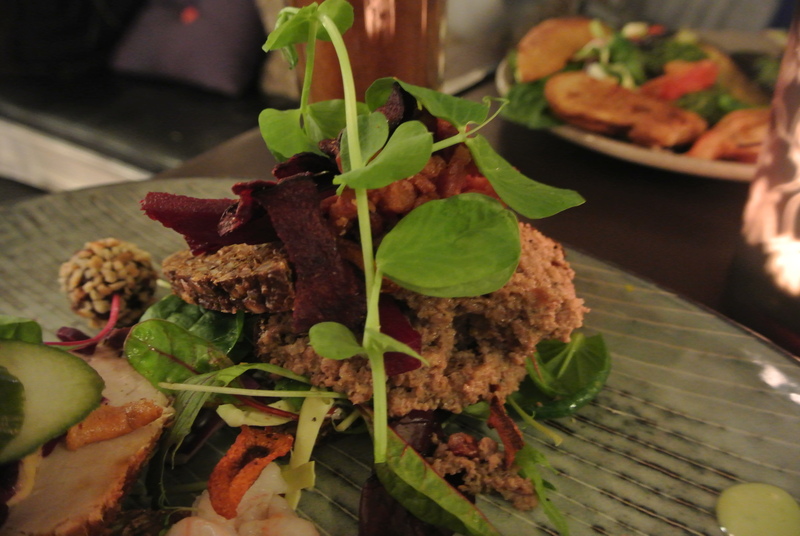 Liver pate smorrebrod with bacon and beetroot chips. Norden’s special iced tea made with quince tea. 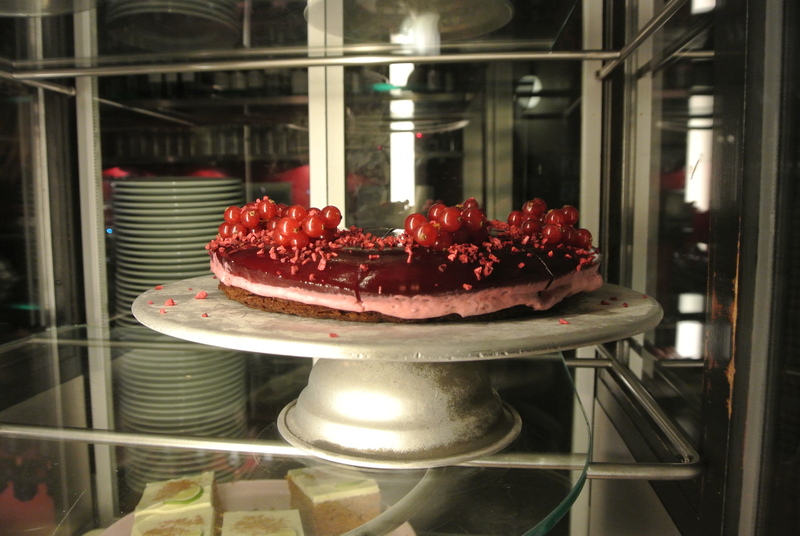 Raspberry mousse on a chocolate cake base.